I once again traveled to Massachusetts's premier Japanese pop culture convention, Anime Boston! Blog: The Veef Show Episode 67 - M3: The Dark Metal. 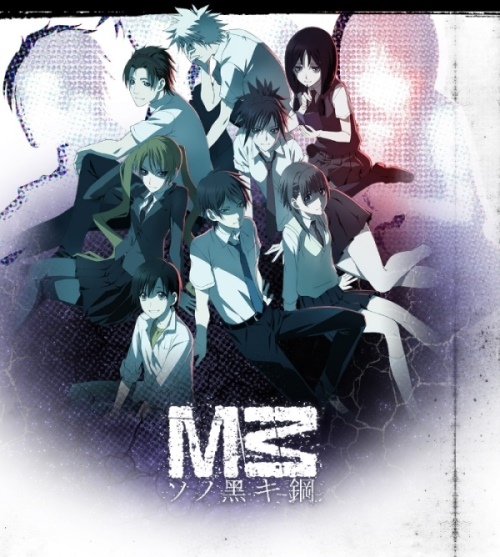 I am joined by Carl of the anime blog Ogiuemaniax to discuss the 2014 anime M3: The Dark Metal. This is an interesting series that very few people watched so please check it out on Daisuki. We do get into spoilers so be forewarned. Right click and save as to download the podcast. Isamu is really excited because I was a guest on the Greatest Movie Ever podcast lending my Macross knowledge to the discussion. I am joined by Carl of the blog Ogiue Maniax to discuss the concept of moe as it relates to anime and manga. We try to bring a more nuanced and academic view of the subject so please enjoy. Also in my cute clumsiness, I recorded my audio from the wrong microphone so I apologize for my poor sound quality. I am joined by Richard from the Macross Speaker Podcast to discuss Gundam Unicorn now that it has ended. It's been about four years so a nearly four hour podcast seems appropriate. Richard kept clipping his microphone and I tried to fix his audio as best as I could but please be advised there's some loud parts. 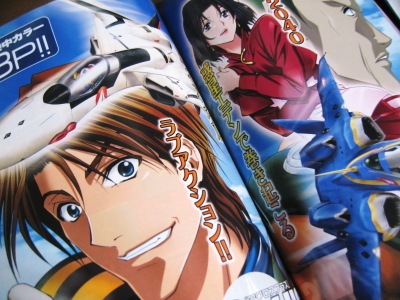 I am joined once again by Renato from the Macross Speaker Podcast to talk about Macross 7! We're celebrating its 20th anniversary with tales of its development and how we first encountered this one-of-a-kind series! Raise a glass and kanpai! Right click and save as here to download this nearly three hour podcast! Here are some pictures of the recently released Macross Frontier the Movie 30th d Shudisuta b Box. "It contains both The False Diva" and "The Wings of Goodbye." This bundled release features English subtitles in each movie and comes with two art books. The MSRP is 16,800 yen for the Blu Ray. There is also a DVD version (Region 2). Since America and Japan are part of the same Blu Ray region, these will work on a western PS3 or BD player. The outer box minus the slip cover. The two Blu Ray cases. One contains both films while the other has the extras disc which can be played on a PS3. It is a Playview disk that contains numerous interviews, "making of" segments, character art, mecha art, and commercials. The mecha gallery lets you look at the robots from many different angles. Includes the world's saddest Gerwalk. I am joined by Dkun to discuss some random things and also X-Men Days of Future Past and Godzilla . Beware of heavy spoilers. Right click and save as to download. In this episode I am joined by fellow airplane enthusiast Falconkpd as we discuss some of our favorite console based flight simulators. We cover some greats, some not so greats, and the incomparable AGILE WARRIOR F-111X. Steve Rogers being just such a good guy. And Guardians of the Galaxy. Right click and save as here to download the podcast. JAM Project rocked on at Anime Boston 2014! I am once again joined by Richard of the Macross Speakerpodcast to discuss Mobile Suit Zeta Gundam! This seminal anime classic has gotten equal amounts of praise and derision over the years. We examine what we love about the show, what we hate about it, and also how it relates to previous Yoshiyuki Tomino work, Heavy Metal L-Gaim. Please note that I pulled Gablae and screwed up the recording in the first half of the podcast. I sound much better in the second hour. Spoilers aplenty but this show is more for those who have already seen Zeta Gundam. At the end of this you will learn a valuable lesson! Come join CollectionDX writer, VF5SS, at Anime Boston! Blog: The Veef Show Episode 59 - Let Go of My Liam Neeson. Join Dkun and me as we discuss Liam Neeson's greatest role. Right click and save as to download. Also please enjoy my very first AMV. This is my favorite Japanese cartoon. In this episodes were doing some HEADS UP GAMING as I am joined by semi-regular co-host Dkun aka Deef. A terrible game people are spending way too much money on. A really fun game you don't have to spend any money on.